How To Register a Blog's Domain Name In 0.99$! - Crazy! One of the most common hindrance that I feel when it comes to starting a blog is that youngsters can't pay the cost of a domain names and hosting plans for a website. 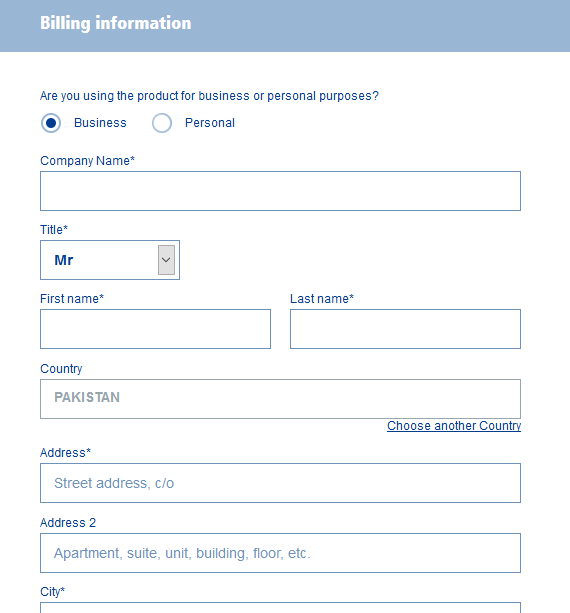 Students often don't have the facility to use credit/debit cards and other services like Paypal have limited access in many countries like Pakistan/India. I still remember it took me over 8 months to gather my thoughts to move from blogspot domain to a professional looking bloggingehow.com domain. I had no funds and all I used to get was 100 Rs/- or 1$ per month as pocket money. Back then, I researched a bit and found out a local company offering domain name for about 6-7$ per year and went for it. Lately, as most of my brothers and sisters know, we launched an Android app named Home Button Replacement. Meanwhile, updating my knowledge on the current best and cheapest domain registers, I found out something VERY exciting. If you guys have android phones, I would want you to check the app out. This is my step forward into application development and expanding more avenues when it comes to making money online. I'll keep you guys posted on how everything develops with time InshaAllah. Lets get started. Let me walk you through the simple process where by you can get your dream domain name for such a low price! Visit 1and1's domain registration section. 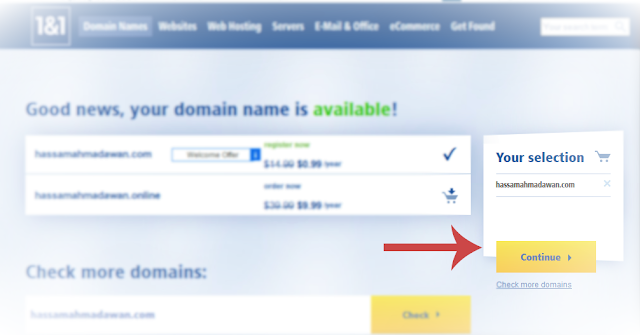 Enter your desired domain name and hit check as shown in the image below. Follow the series of screenshots below that guide through the process. Finally you end up making an account where you enter your basic profile information. Just keep your credit/debit/paypal ready to make the payment. Once all the registration process and payment is done, you'll get a fully functional domain name for just under a dollar! Note that this 0.99$ rate is just for first time customers and this domain would renew at their normal rate of 10 plus dollars. They go by disclosing this in their terms of service. Though it's never a bad deal at all. At least 1and1 lets everyone try out on their dream projects and one can always test out and get started with just 1$. Do let me know if you guys know of any other cheap domain name registrars out there. It would be great to add them here as a complimentary list. BloggingeHow | Making Blogging Simpler: How To Register a Blog's Domain Name In 0.99$! - Crazy!